The benchmark-workshops organized by the ICOLD Technical Committee A “Computational Aspects of Analysis and Design of Dams” since 1991 provide an opportunity for engineers, researchers and operators to present and exchange their experiences and the latest developments related to the design, performance and monitoring of dams. 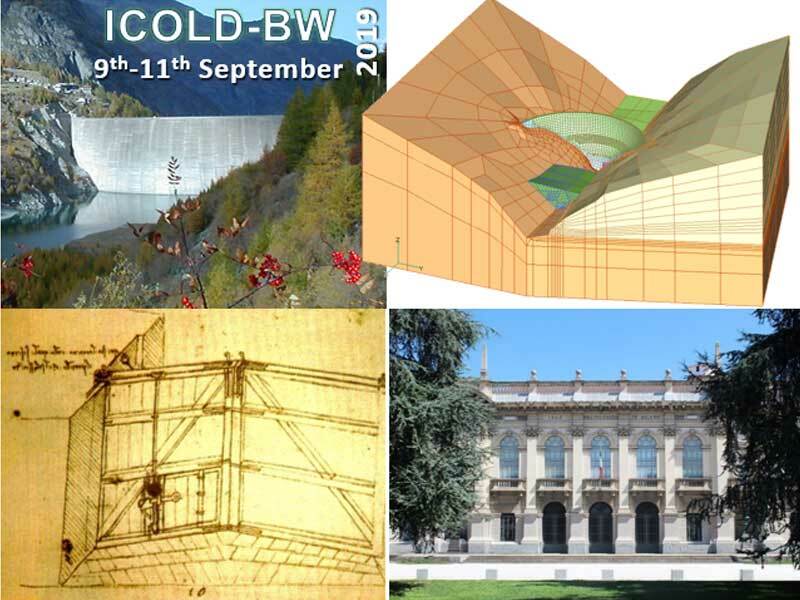 The next 15th Benchmark Workshop on Numerical Analysis of Dams will be hosted by the Politecnico di Milano, that co-organizes the event with the Italian National Committee on Large Dams (ITCOLD), the National Council of Engineers (CNI) of Italy and Ricerca sul Sistema Energetico (RSE). The Workshop will be held in Milano while the city celebrates the genius of Leonardo da Vinci 500 years after his death. During his twenty-year stay in Milano, Leonardo gave important contributions to the design of water control works, besides producing masterpieces like the Cenacolo.